This event is SA's only street circuit pedal prix race and is an exciting, fast paced competition. 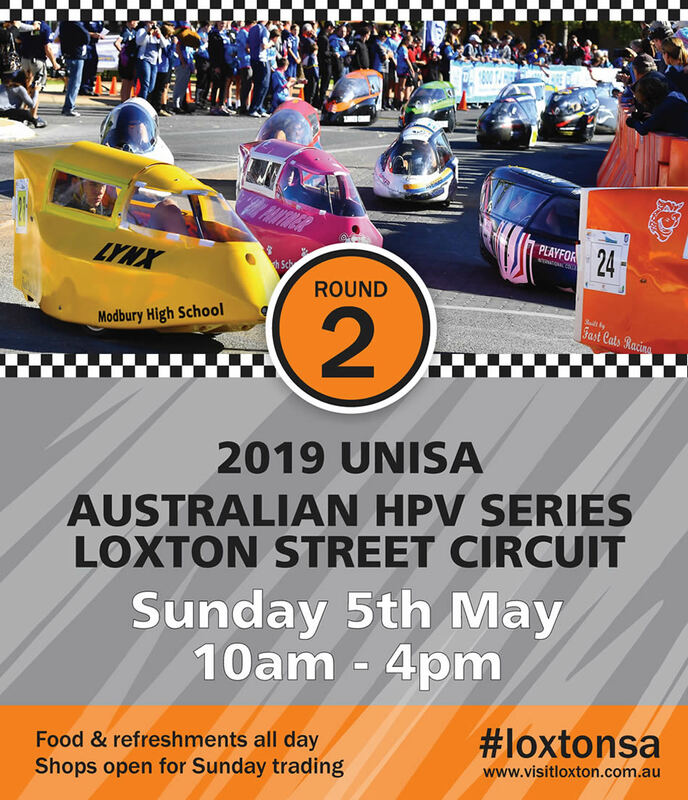 Loxton will be the host town, with the event taking place around the town centre. HPV racing, or pedal prix racing as it's more widely known in SA, is a spectacular, fast paced activity with teams competing over a 6 hour period from 10am to 4pm, riding single seat, recumbent, fully faired trikes and speeds in excess of 60km per hour have been achieved along Bookpurnong Tce - racing is always close on the circuit. A special Pop-up Food Court and dedicated food outlets will ensure there is a variety food on offer.